I’m not Greek, but I think I must have been in a past life. I love Greek food almost as much as I love lutefisk and lefse. I first encountered Mizithra (pronounced Mi-zee-thra) cheese at the Old Spaghetti Factory (1) in Portland’s Old Town (Portland, OR) in the 1970s. 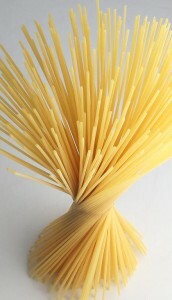 It could be ordered instead of Parmesan cheese on any of their spaghetti dishes. I loved its saltiness. Mizithra is a type of Manouri cheese (made from milk and whey). The soft or fresh version has a texture similar to ricotta. But the version I first tried – and used in this recipe – is a hard, dry, grate-able cheese, similar in flavor to feta. It is typically made of sheep’s milk, but other milks might be used. This recipe, adapted ‘Macaronia me Voutyro‘ from Tweeton.com (1), is simple and delicious. Don’t skimp on the butter, and don’t try to substitute with any type of margarine or low-fat butter, no matter how buttery it says it tastes. Of course, you can use Parmesan or Romano cheese instead of the Mizithra in this recipe, but then it won’t be authentically Greek. Another option is Ricotta Salata, which is a pressed, dried and salted Ricotta. Don’t let butter scare you. All the bad things we’ve heard about butter since the 1970s have been proven to be wrong. Even Time magazine had a cover story, and NY Times featured “Butter is Back.” (3) See also m article on The EssentiaList: Butter and Other Saturated Fat is a Health Food. If you’re worried about the calories, serve this as an appetizer rather than a main dish. * Use unsalted butter when using mizithra cheese, as it is quite salty. If using Parmesan or Romano cheese, you can use salted butter or unsalted butter depending on taste. Heat water in a large pot to boiling. Add some salt; return to rolling boil. Add pasta slowly without breaking the boil. Cook until al dente, stirring frequently. Drain well in colander and return to pan in which it was cooked. Meanwhile, melt butter in a small cast iron skillet, and heat to a deep golden brown, watching it carefully. Do not let it burn. Pour browned butter over drained pasta in pot. Add half the grated cheese and toss well to coat. Season with salt and pepper to taste. 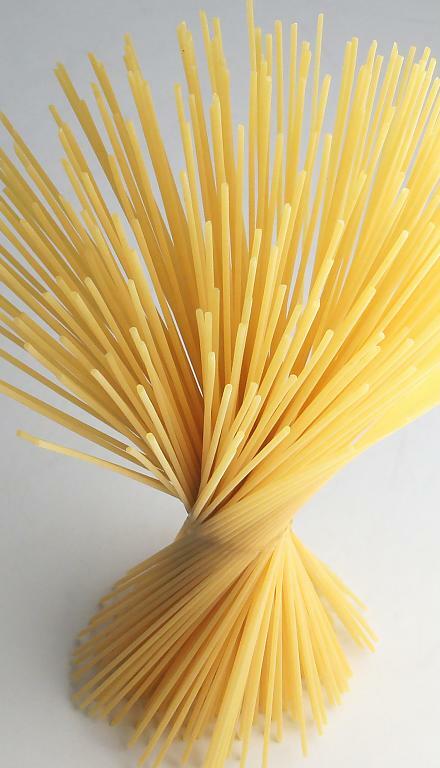 Transfer pasta to serving bowl. transfer remaining grated cheese to a small serving bowl. Sprinkle each serving with a bit of the remaining grated cheese and more freshly ground pepper. Serve with roasted beets and a deep green vegetable such as chard, kale, or seared broccoli. Also excellent at a first course for a fish dinner. This entry was posted in Dairy, Fat or oil, Pasta, Sauteed and tagged butter, Mizithra cheese, spaghetti. Bookmark the permalink.